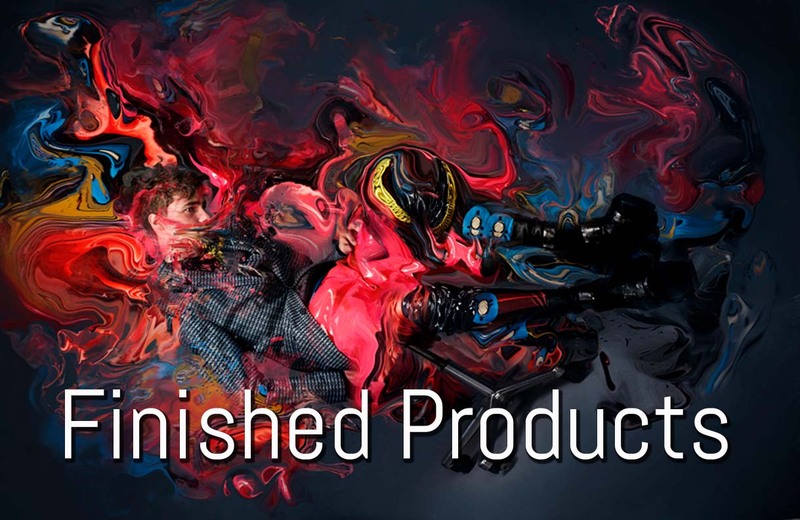 Our In-House design studio has the technical and creative ability to bring to life any design you can imagine. 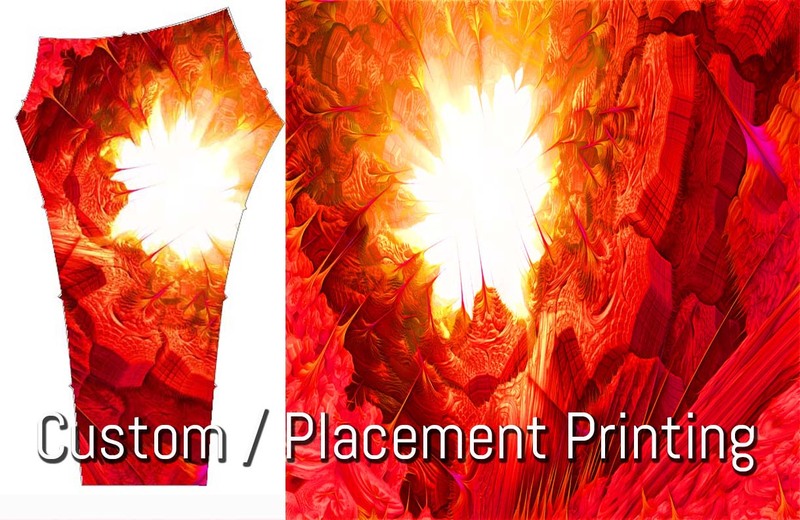 We also have exclusive prints which may be customized for your brand. However your artwork is created our experienced team accurately engraves the designs onto rotary screens. 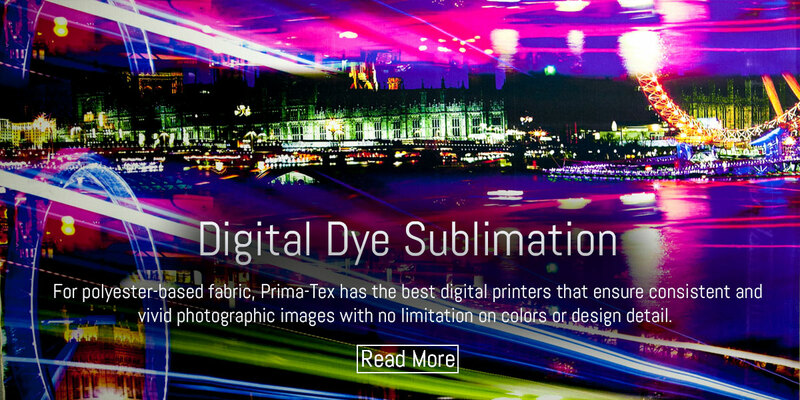 Prima-Tex will help you build or sustain your brand. 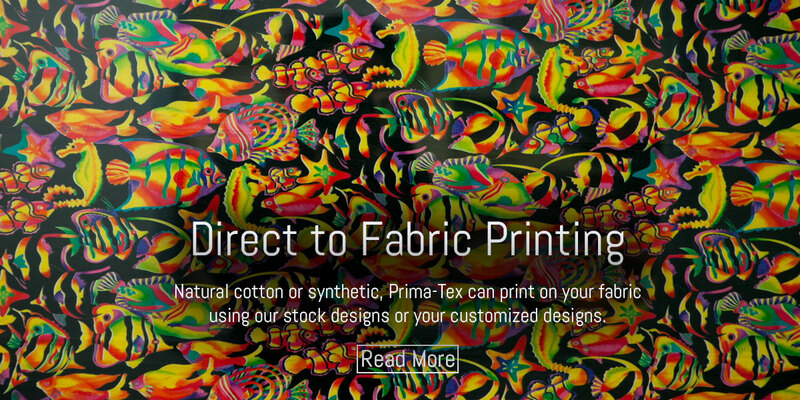 Your brand will benefit from Prima-Tex’s 40 years of printing, designing and manufacturing experience. Many new brands have trouble marrying their creative vision with the technical side of manufacturing. On the other hand, seasoned brands get stuck with old processes that deter them from developing a more profitable process. 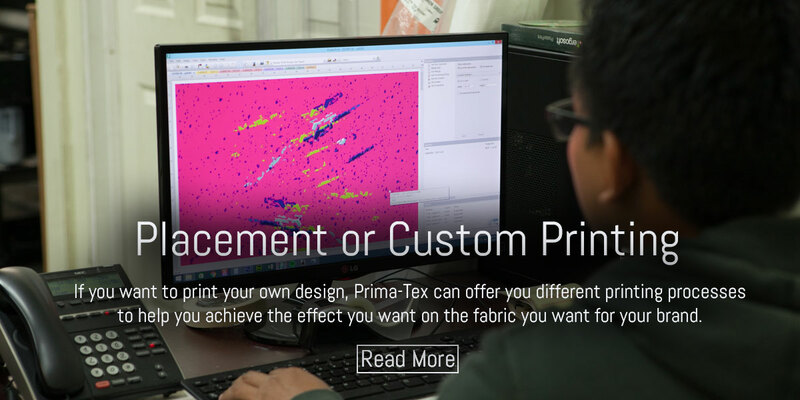 Prima-Tex will be your partner in maximizing your revenue without sacrificing the quality of your products. We are located in Buena Park, California with convenient access from the 5 and 91 freeways. Please feel free to contact us with any questions you may have. We look forward to working with you! 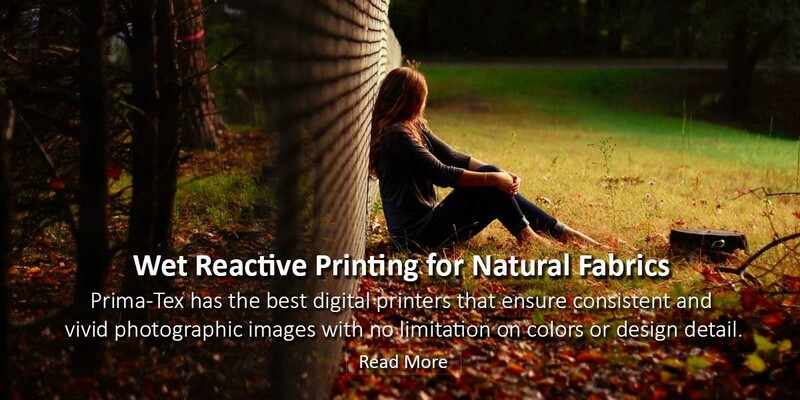 Long reputed as the printers’ printer, we are the only printing company that offers several special finishing techniques such as Biancalani, waterproofing, coating, and others. 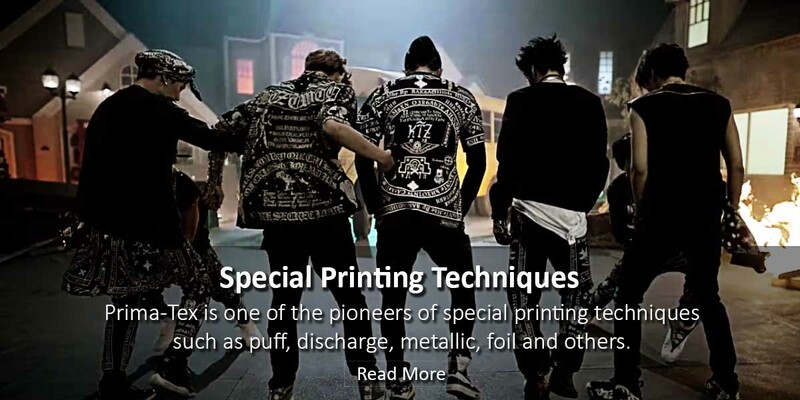 We also offer special printing techniques unavailable to other printing companies such as pigment, puff, glow and others. 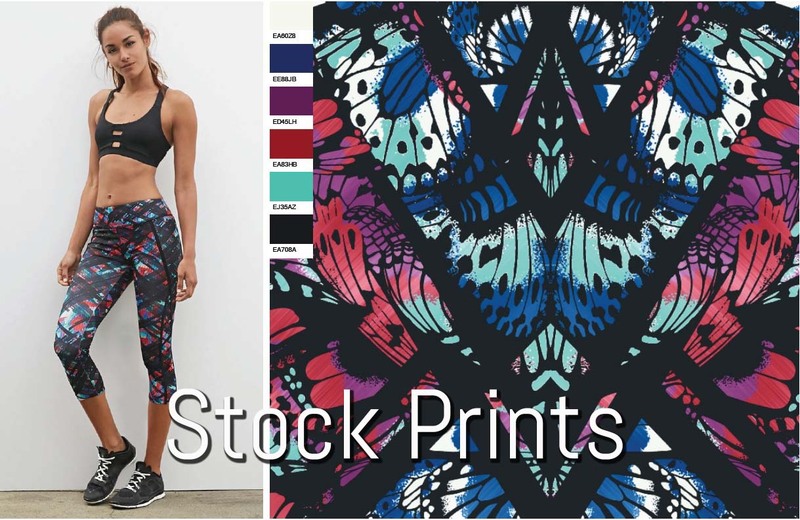 These can give your merchandise an edge over the competition. 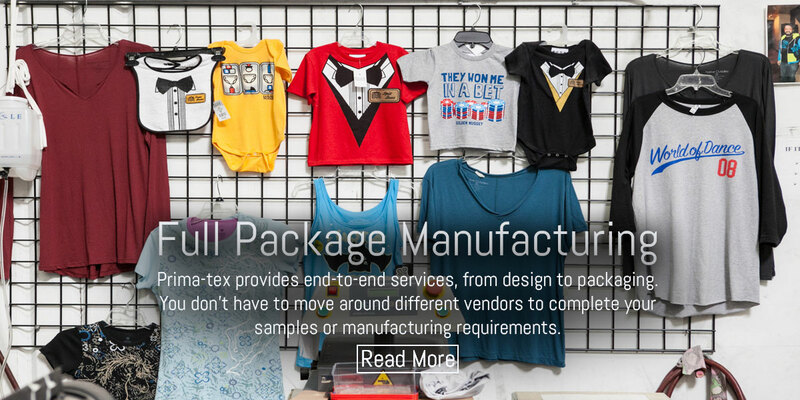 Prima-Tex is fully vertical, offering full package manufacturing, from pattern making to printing to cutting and sewing to packaging. We do not job out any part of our process which guarantees control over quality. 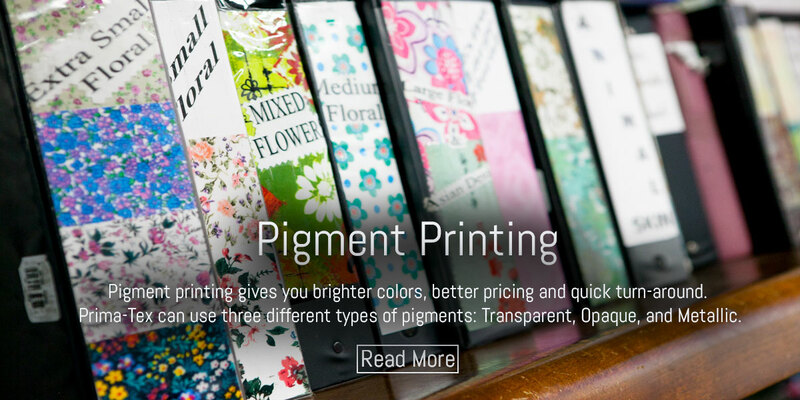 With over 30 years of experience, our clients range from clothing companies to home furnishing to marketing companies. Get in touch with us via email or phone for any question or clarification.